Our objective is to provide a safe, caring, friendly and fun loving environment for children of all athletic ability. We endeavour to provide the necessary coaching expertise required to enable young athletes of all abilities to reach their full potential. We value the achievements of personal goals and targets as much as medals won. Juvenile training consists of middle distance running, cross country, sprints, hurdles, long jump, javelin and shot. All u10s to u18s are welcome to training at Naomh Mearnog all-weather GAA pitch on Mondays 5:00 p.m. – 6:00 p.m. On Wednesdays, there is additional training for the Development Squad (those who compete at club-level) and Fridays for the u14s and older. Although we have a dedicated group of coaches, new coaches and volunteers are always welcome. 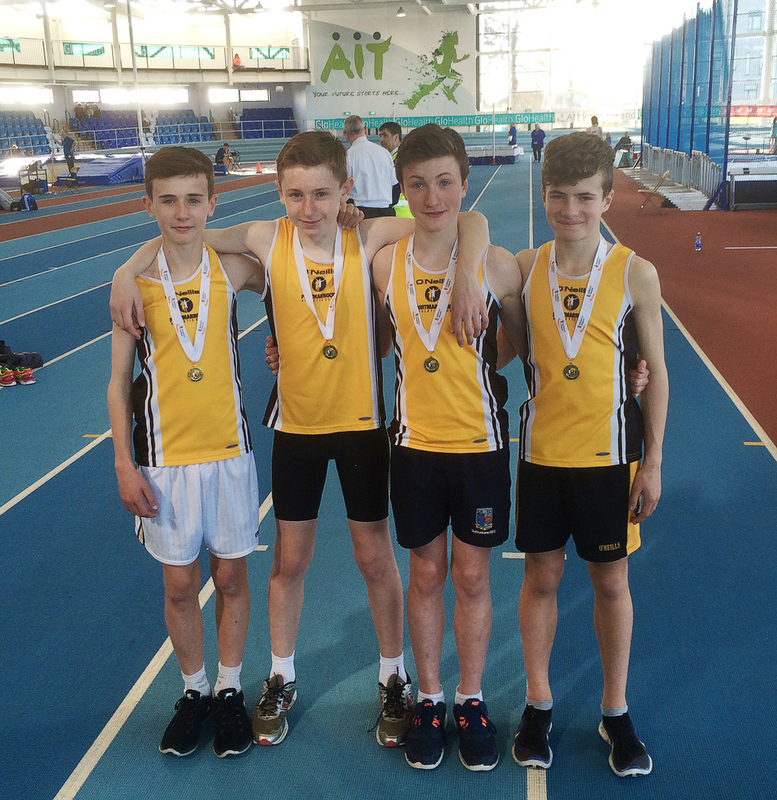 The club takes part in various club competiitions including Dublin Cross Country, Dublin and National Indoor and Outdoor Track and Field. Although only a few years old we already have many Dublin champions, national champions and national record holders. Participation in club competitions is encouraged – but not compulsory.